Who would have thought the largest something comes out of North Korea, especially with respect to football. North Korea is home to the largest stadium in the world the ‘Rungrado May Day Stadium’ in Pyongyang. Completed in 1989, the stadium can house up to 114,000 people which is the largest stadium (by capacity) in the world. Random Fact: In the late 90’s, a number of North Korean generals were executed via burning in the stadium for an assassination attempt on Kim Jong-il. Barcelona is arguably the best football team on earth and also boast a squad with the best player of our generation in it (Messi). 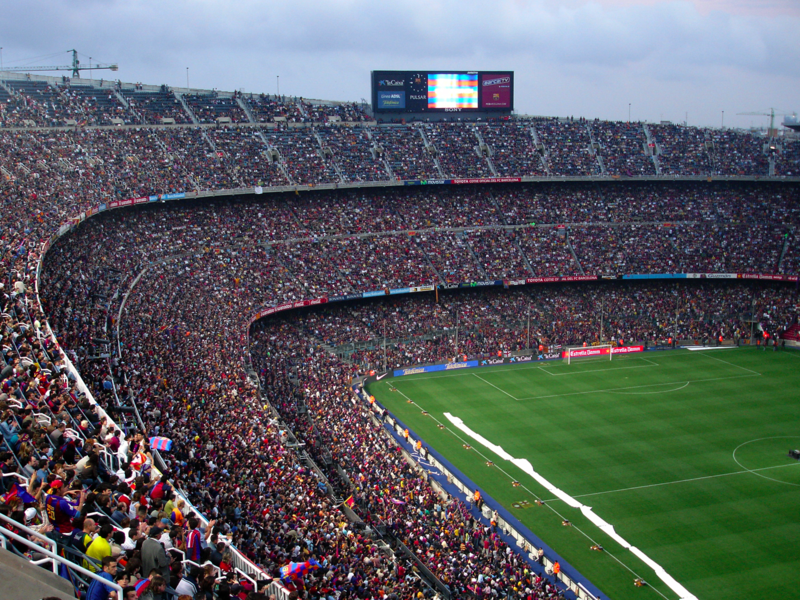 The Camp Nou is the largest football stadium in Europe since 1957, when it’s construction was completed. It is the largest stadium in Spain and the second largest stadium in the world. FNB stands for First National Bank, also known as soccer city. The FNB stadium is the largest football stadium in South Africa and Africa. The FNB is the same stadium that hosted the 2010 World Cup finals (Spain won). Nelson Mandela gave his first speech in this stadium after being released from prison in 1990. The Rose Bowl stadium in Pasadena, California is the 17th largest stadium in the world and the fourth largest soccer stadium as well. The Rose Bowl is famous for hosting the Superbowl, several FIFA World Cup Finals and home to the UCLA Bruins. Every Premier League fan has always dreamt of watching their favorite teams play at Wembley. Wembley is Tottenham’s current home ground for the 2017-18 season. Wembley is home to several important matches played in the English League, FA Cup, League Trophy, Champions League, Euro, etc. The record attendance at Wembley was in 2016 when 142,500 people were present for Beyonce’s concert.